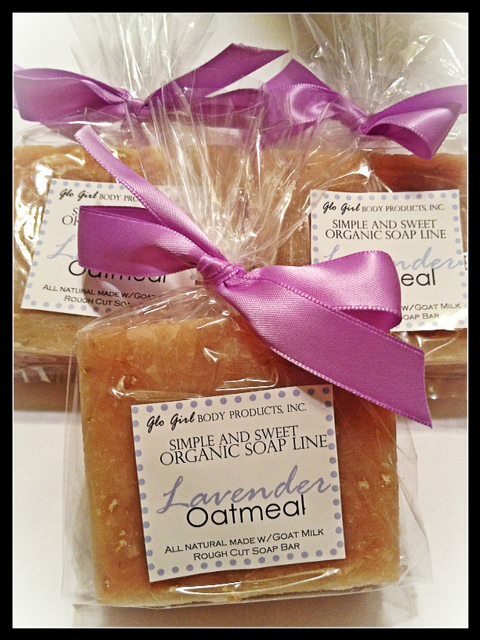 Our Lavender, Oatmeal & Goat Milk Soap is blended with exfoliating ground oats and with fresh goat milk. Lavender essential oil for a soothing and relaxing experience. This is one of our top selling soap bars. Ingredients: Olive Oil, Coconut Oil, Water, Sodium Hydroxide, Organic Palm Oil, Fresh Goat Milk, Organic Sunflower Oil, Shea Butter, Lavender Essential Oil, Oats.